I am SO pleased with what came in my first Love Goodly box! 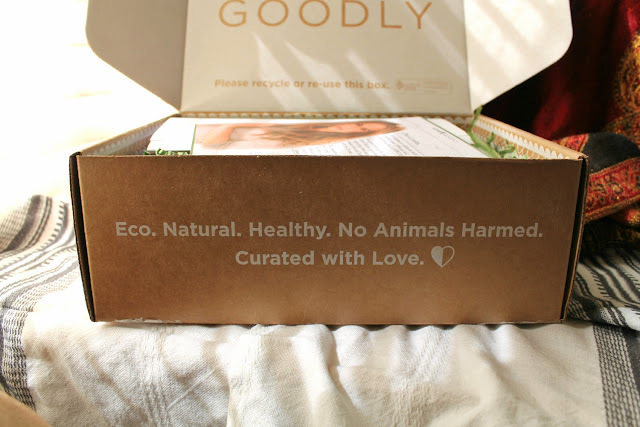 Goodly boxes are bi-monthly subscription boxes that are filled with eco-friendly, non-toxic, cruelty free and vegan beauty products, snacks, fashion accessories and much more. The April/ May box was curated by actress and health advocate Alicia Silverstone ! Oh whatever, don't act like you don't know who she is. Like, as if! That's $111.90 worth of stuff in this box! 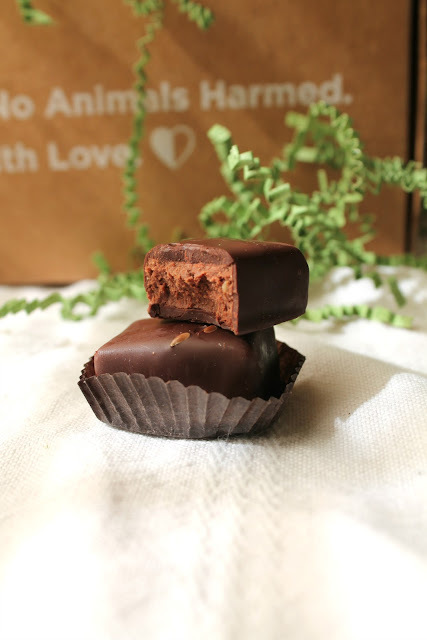 My favorite item from the box was without a doubt the vegan truffles. They're smooth and rich with the snappy crunch of flaxseed. I ate one and them my children's food radar went off and they came running begging to try some so I split the other truffle between them both. I'm not a vegan, but I'm not one to freak out if something is vegan like a lot of people do. Don't you hate that? Here in East Texas, the land of barbecue and tamales, vegan food is not well revived. C'mon Texans. Stop freaking out over a word, open your mind and explore! I haven't got to try this mascara yet but I already know it's going to be great. I mean, look how photogenic it is! 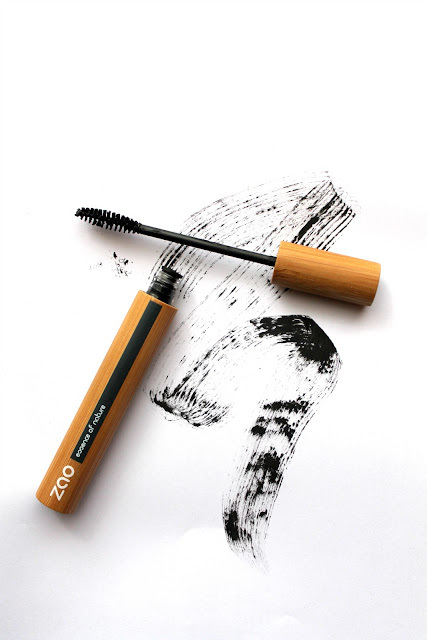 This mascara is non-toxic, cruelty free, vegan, certified organic and comes in a gorgeous bamboo tube. 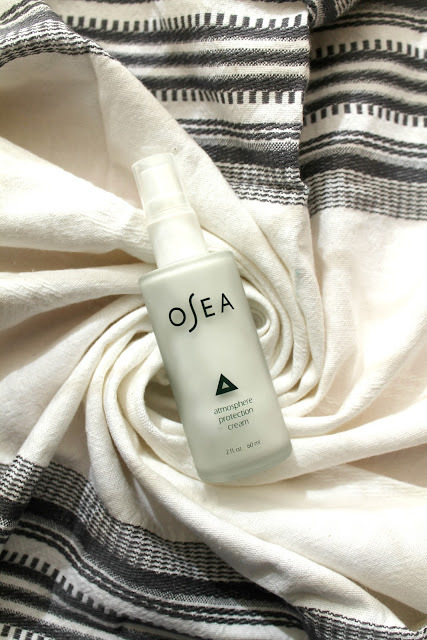 I am currently wearing this OSEA face cream as my nighty night moisturizer and my face feels smoochy soft and not greasy at all. Hydrated is the best word for it. I've been wearing the same face moisturizer daily for yeeeears and it leaves a bit of a slick oily feel on my face. I've grown used to it. But the OSEA moisturizer absorbs into the skin and makes it feel youthful and fresh. 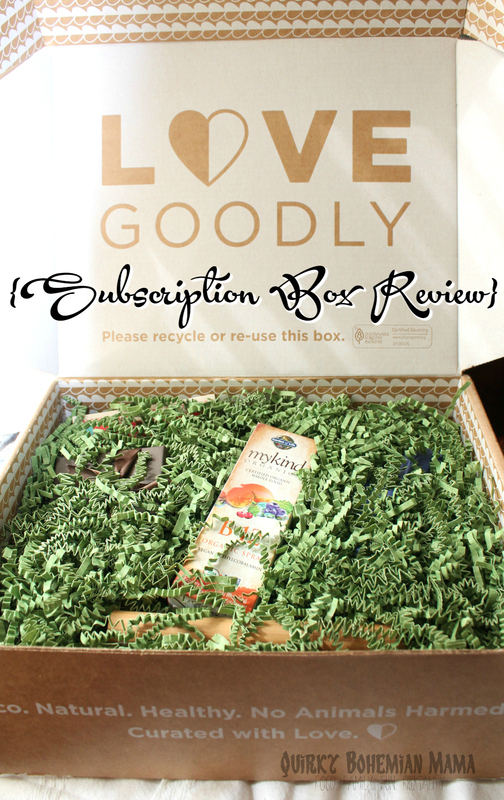 If you're interested in subscribing to the Love Goodly box please visit their website HERE. And dig it: You can save $5 on any purchase in the Love Goodly Shop with promo code LOVESHOPS (minimum purchase $30). 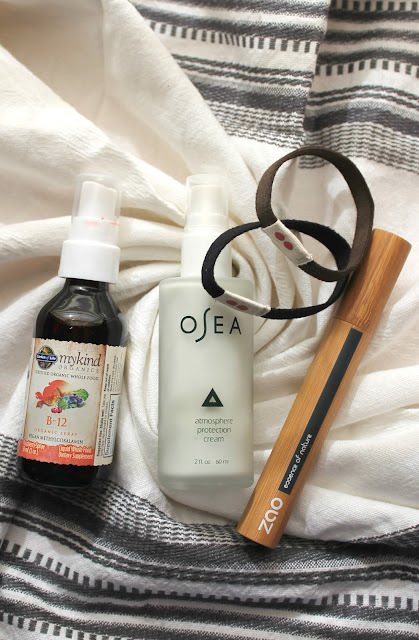 What's your favorite product from the April/May box?